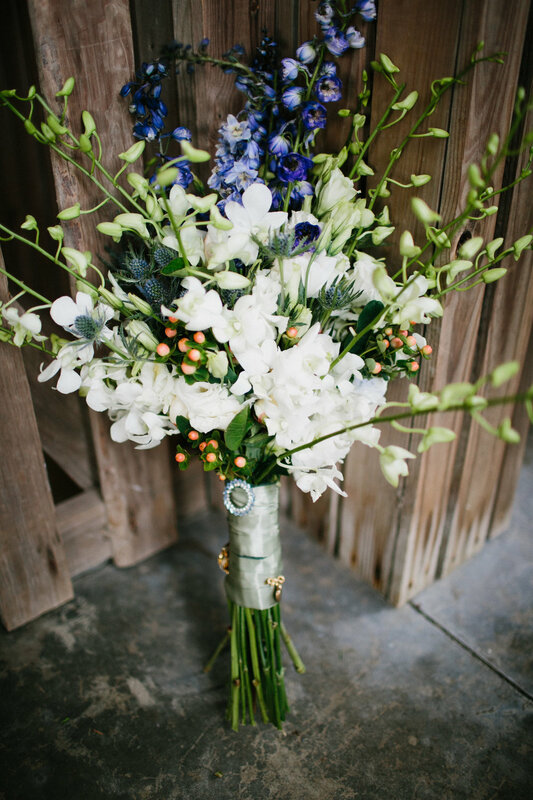 This white & green Gadsden House wedding was our very first look at this amazing new venue downtown. This remodeled historical home looked better than ever, what a transformation! 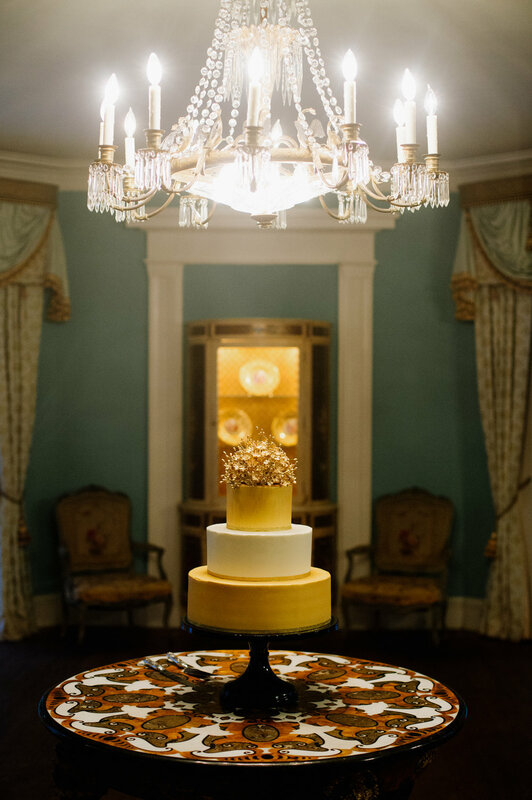 Stunning gold and crystal chandeliers hung from the ceilings, neutral palette, and the gorgeous bridal suite with a gold gilded mirror. Cate was the definition of a blushing bride, she took everyones breath away in her perfect fitted gown with sweet low back and bow. 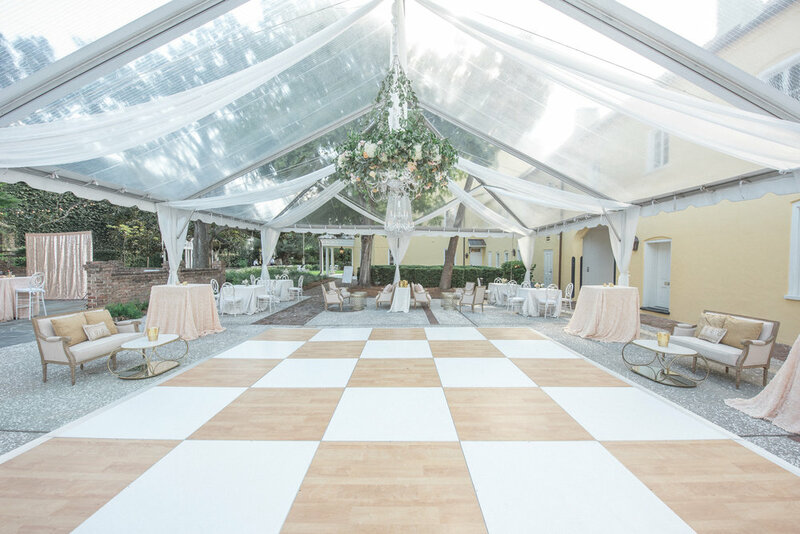 The reception area was filled with whites, lush greens and accents of gold. 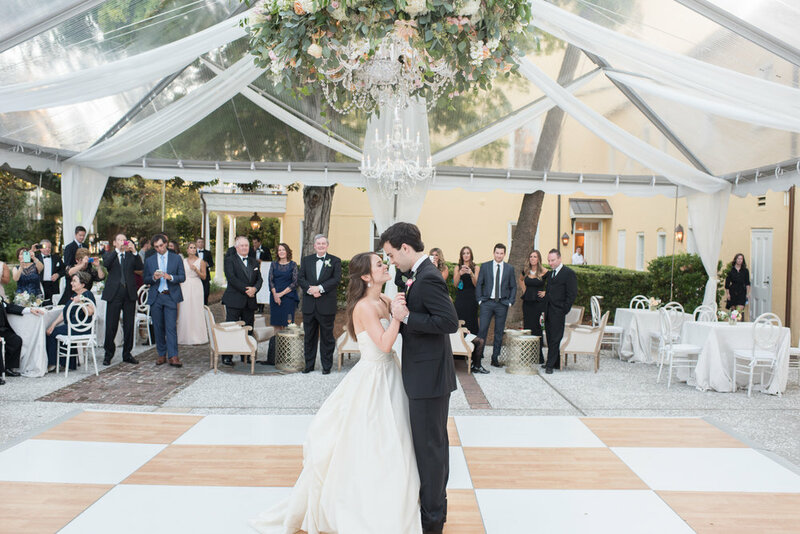 We were in love with this classic romantic design, and of course this wonderful couple! 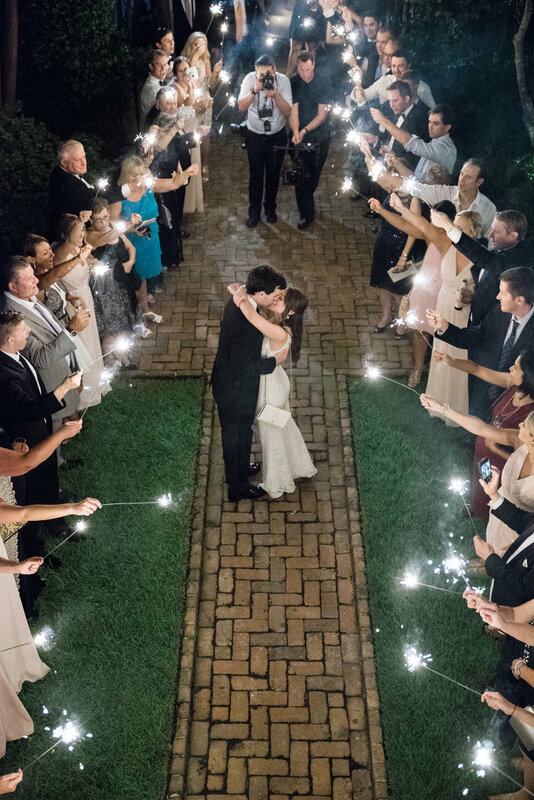 We are wishing Cate + James nothing but the absolute best! 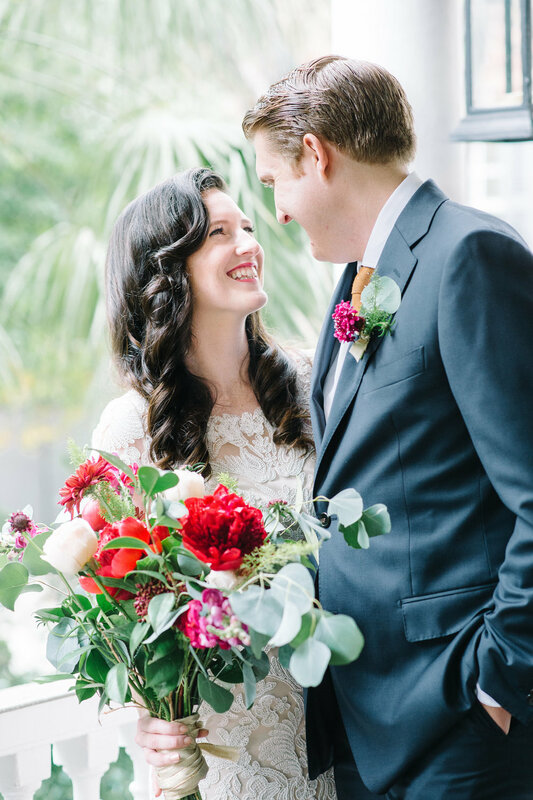 Bar Service | King St. Beverage Co.
Liz + Kenny's Legare-Waring House wedding was a detailed dream come true for these two LA love birds. 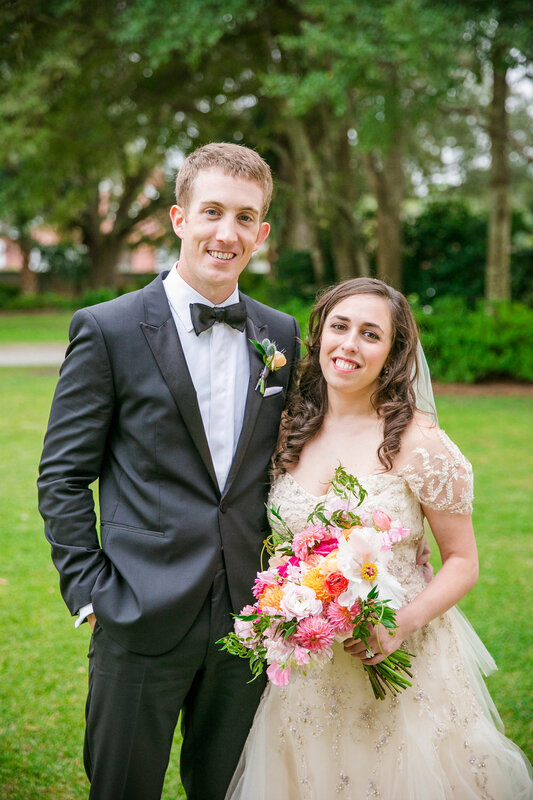 Liz and Kenny met via mutual friends in 2011, on the same day her school, UNC, defeated his alma mater, UW, in a heartbreaker game during the March Madness Basketball Tournament. Luckily, she was able to mend his heart over cheap Chinese food and they’ve been together ever since. As a contributor to multiple wedding magazines, Liz had seen it all. 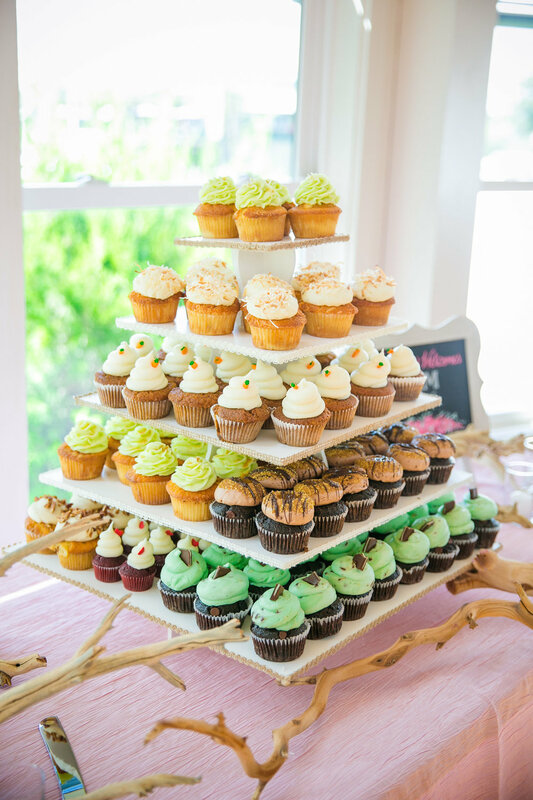 She wanted a wedding that truly stood out from the crowd, and wowed her LA guests. 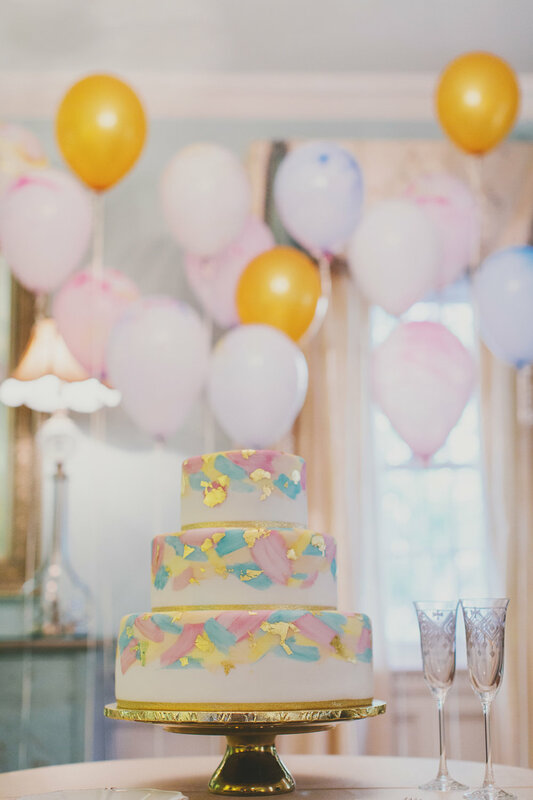 Liz loved the idea of a bright and colorful wedding inspired by vibrant fall hues that accented the gorgeous property of the historical Legare Waring House. 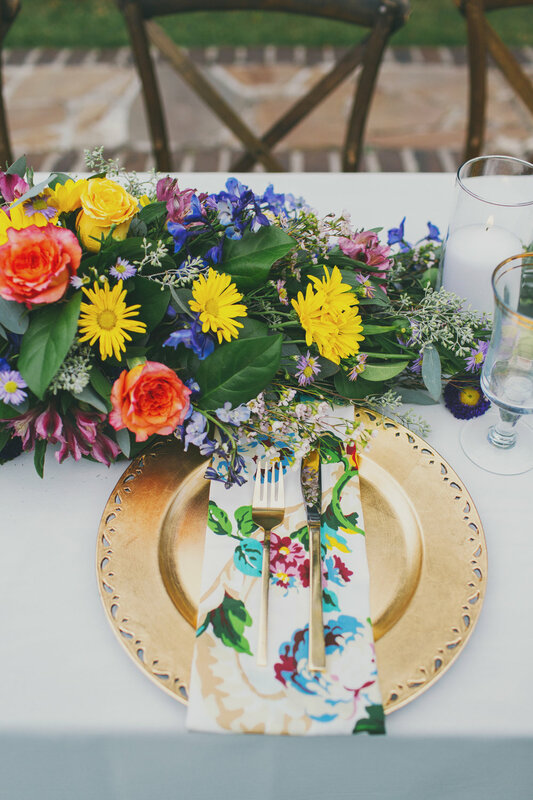 She had a clear vision for a whimsical wedding with beautiful wildflowers accented with watercolors. 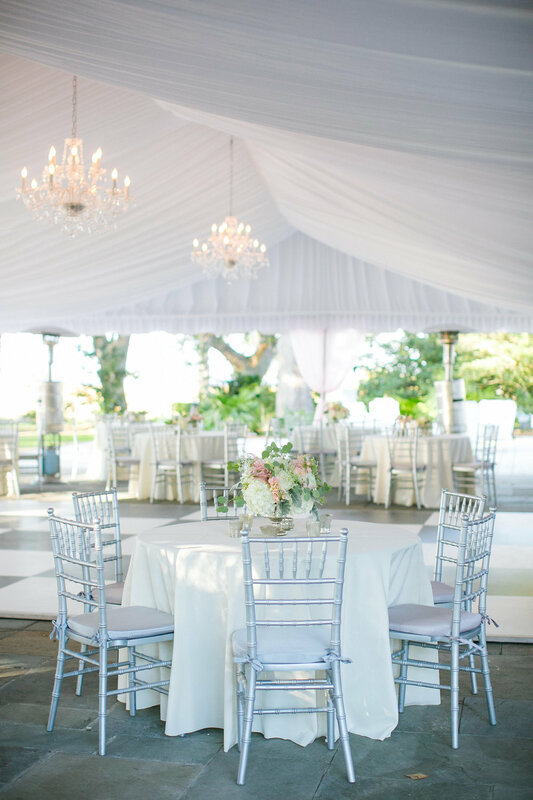 Wildflowers ran the lengths of the tables and tall pillar candles were scattered throughout to create a beautiful glow. 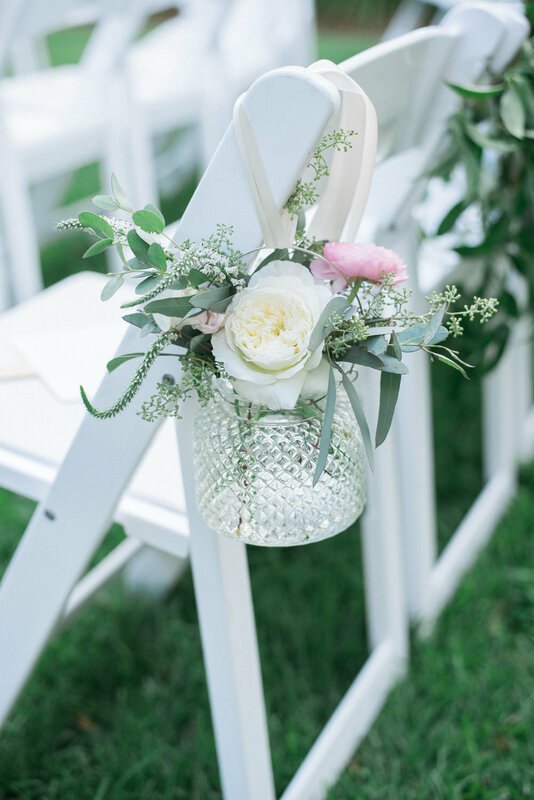 Everyone could tell where the bride + groom were sitting, with vintage green arm chairs from 428 Main, gold chargers, and floral napkins saving their seats. 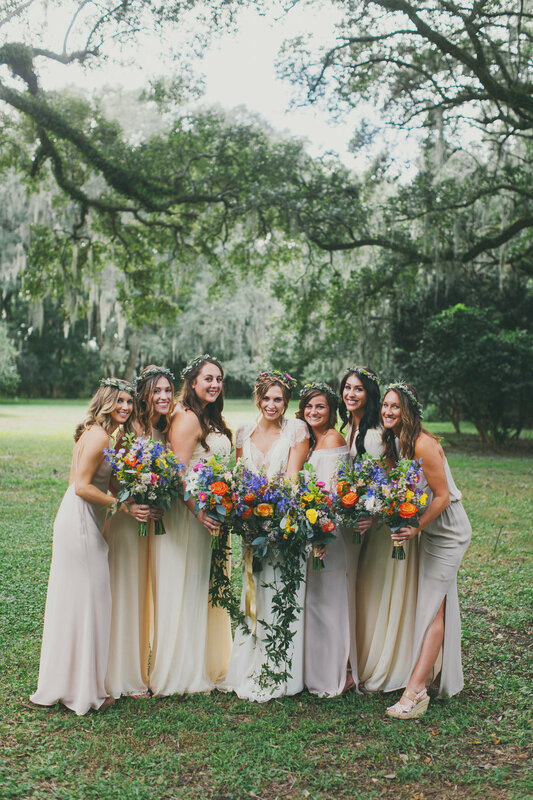 As the ceremony began, guests were able to see the stunning bridesmaids in their mismatched neutral gowns that complemented each maid perfectly. Of course, we can't forget the boys! Navy suits made a huge impact against all of the greenery and Kenny stood out with his unique Charleston favorite-Brackish bow tie. All heads turned, as Liz began down the aisle in her Jenny Packham dress. Her father walked with her down the colorfully petaled aisle, and she met Kenny underneath an arbor of wildflowers. After this sweet couple read their vows and did the traditional Jewish breaking of the glass, it was time to celebrate! Liz + Kenny met their other true love at the end of the aisle for some pictures, and their dog Whiskey, could not have been more excited for his parents. Guests enjoyed small bites and cool cocktails with floral printed straws during this beautiful October night. After everyone had said a few sweet words, it was time for these guests to get a taste of some southern cooking. Salthouse catering provided a delicious station of country fried chicken and mac & cheese. For those foodies in the group, guests also enjoyed grilled fish tacos and a gorgeous best of season display. Liz added a special detail by getting her bar signs, station signs, and hashtag signs hand calligraphied on water color printed paper to match her invitation suite. Once dancing began, Liz changed from her simple flower crown into her "party crown." Big and bold blooms let the crowd know that it was time to put on their dancing shoes! Of course the night wouldn't have been complete without celebrating the tradition of the Jewish hoorah! 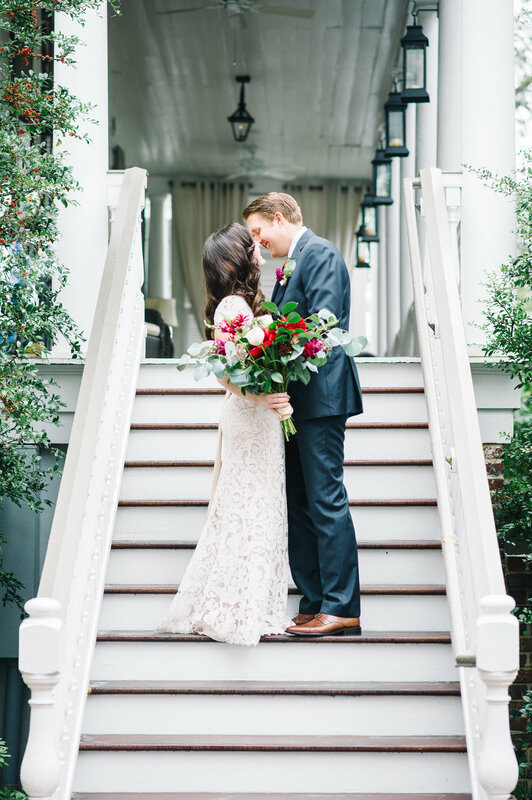 Liz + Kenny departed with their guests to keep the party going in downtown Charleston! 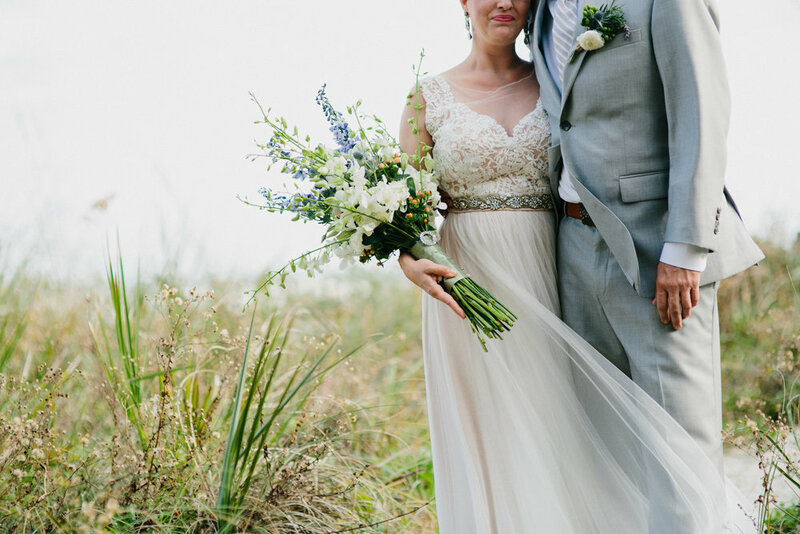 We absolutely love styling a sweet intimate elopement for a bride + groom. 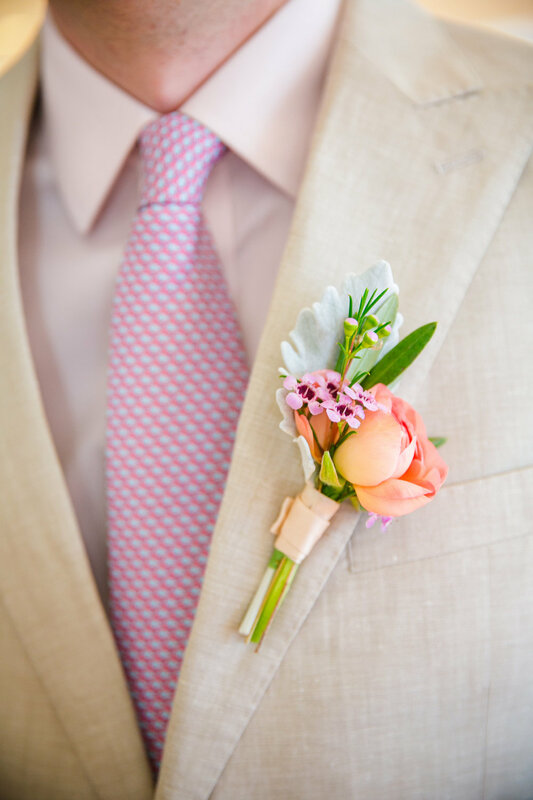 For couples who love swooning over detailed photos, a styled elopement is the way to go! 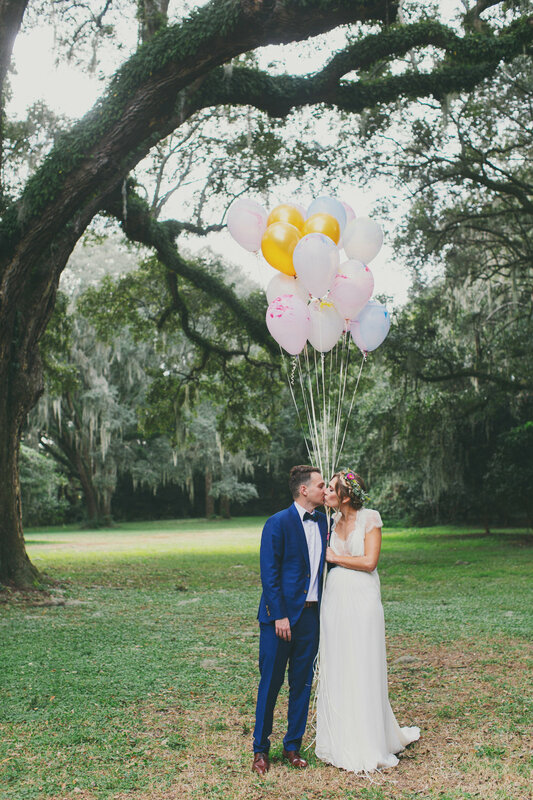 This gorgeous elopement for Lindsey + Brandon took place at Wingate Plantation in Johns Island, and it was all about the little details! 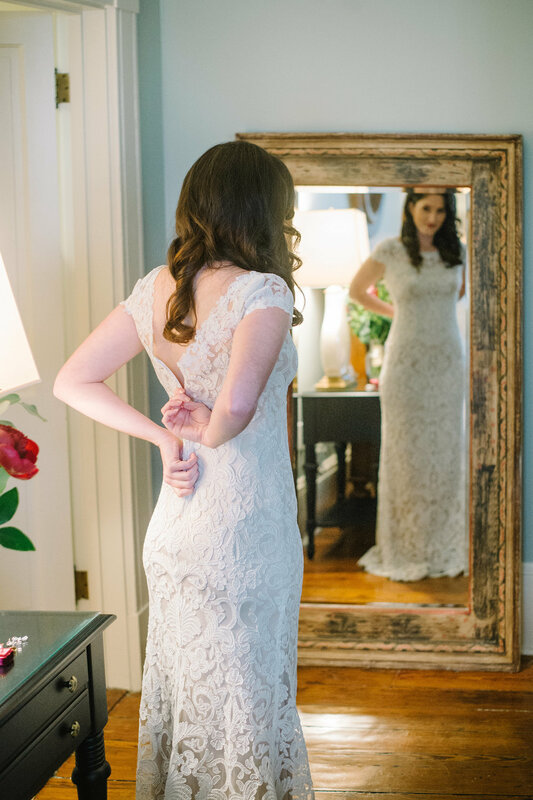 The wonderful Aaron + Jillian photography captured all of the pretty of Lindsay getting ready, from her beautiful lace BHLDN dress to her maroon colored MRS.BOX. The day started out with a bit of rain, and Lindsey used this to her advantage by getting to take adorable photos in her bright red Hunter rainboots. 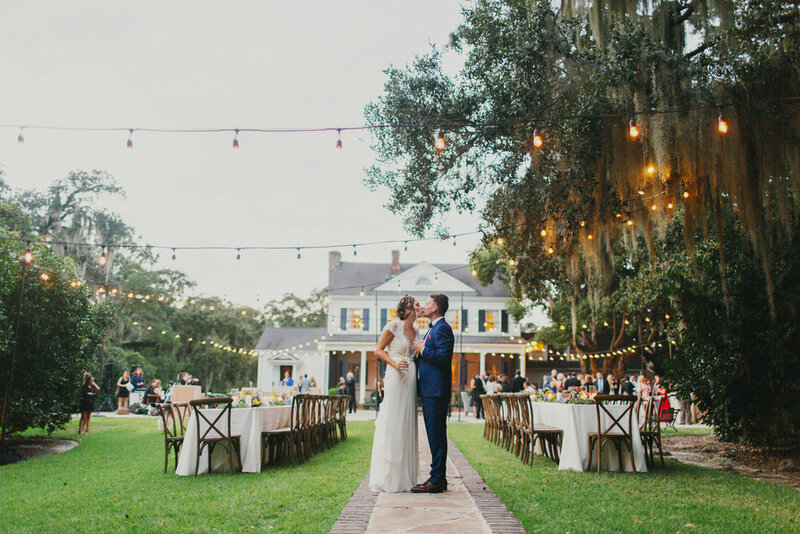 After the first look, these two lovebirds said their vows underneath a sparkling chandelier hanging from an old oak tree. Once the ceremony was over, it was photo time! 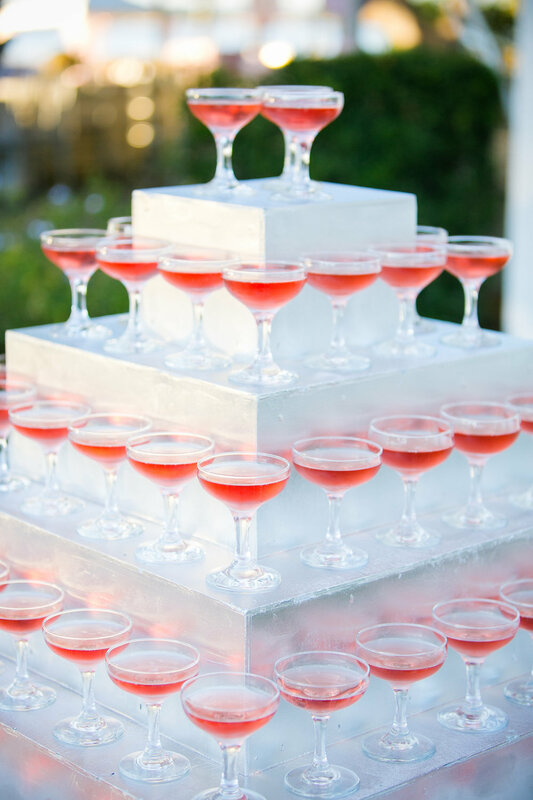 The bride + groom toasted their new marriage on a hot pink loveseat from 428 Main. They held a sign that said "Surprise" to send out to family + friends. 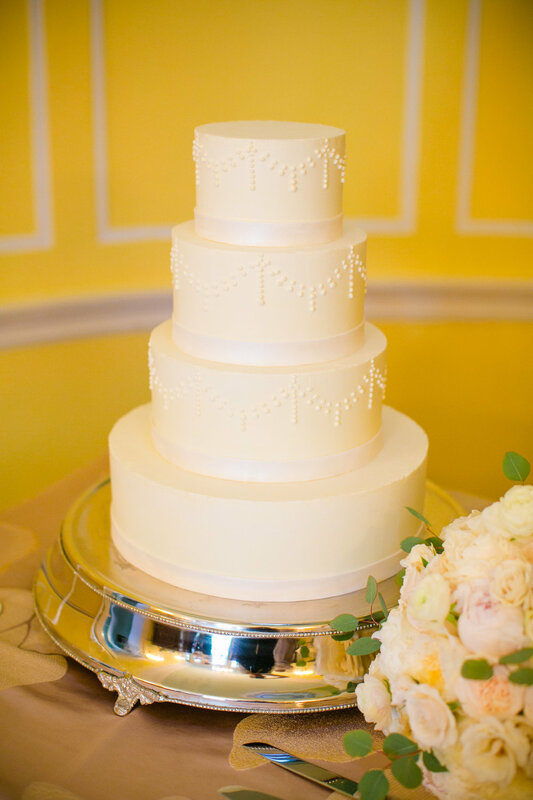 The cake was all gold with a bright red bloom that complemented Lindsey's bouquet. After moving around the plantation for some picture perfect sunset photos, the bride + groom were ready to say goodbye. They finished the perfect day with some photos under a shower of gold confetti. We watched as the new Mr. & Mrs. headed off to enjoy their first meal together as husband and wife. 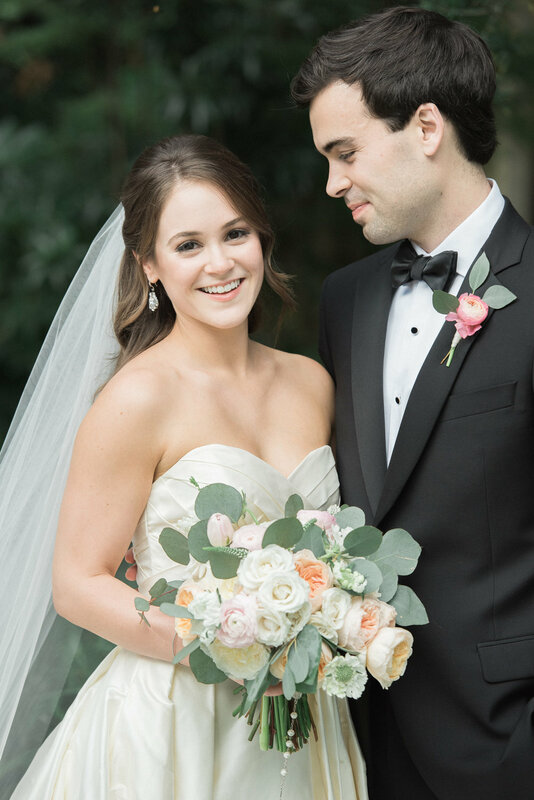 Congratulations to Lindsey + Brandon! 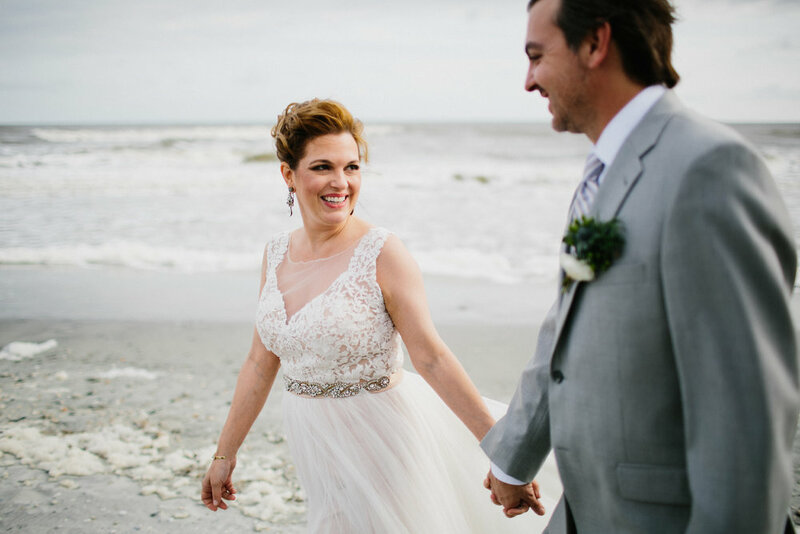 We could not have pictured a better way to end our busy fall season than with Kelly + Bert's perfect Folly Beach Wedding. This sweet couple rented out an enormous house right on the beach to house their family + friends for the weekend. 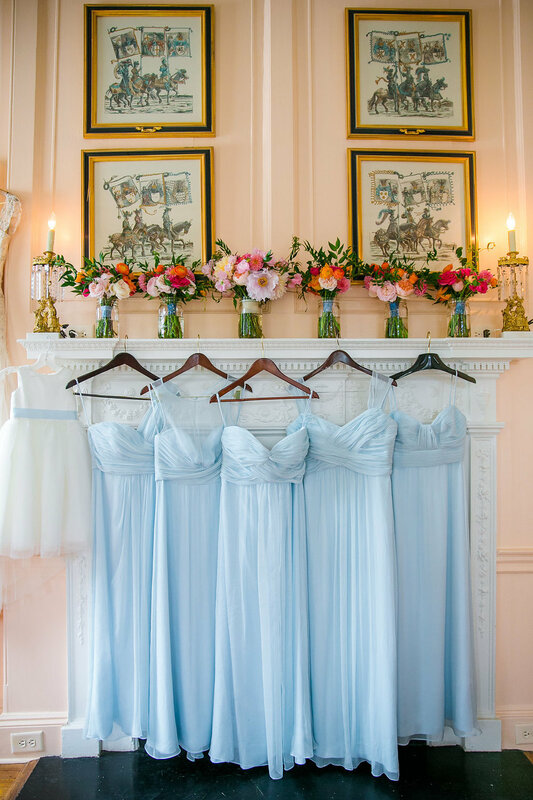 The house also doubled as the perfect venue for their wedding! With high tide coming in right at 4PM, Kelly + Bert had an intimate standing ceremony on the porch of the house. 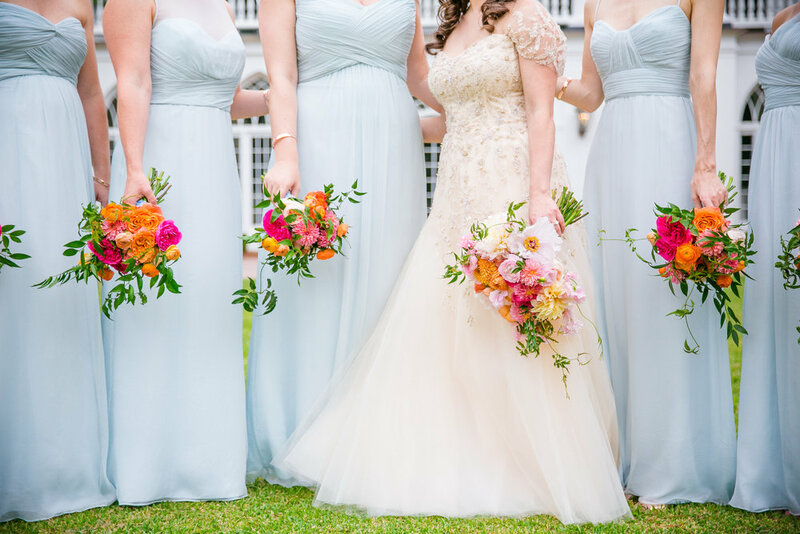 The bridal party was able to have a long beautiful processional up the boardwalk, and Kelly had that sweet bridal moment that every bride wishes for. All eyes were on her as she walked the boardwalk with her dad and met Bert underneath the floral arbor that awaited her. Bert's father was able to officiate the wedding adding personal details and sweet remarks. The couple had written their own vows and the beautiful words brought tears to their loved ones. After the ceremony, the porch was transformed for cocktail hour! Guests were able to look out upon the beach while sipping on a cool beverage provided by Spike. After grabbing a plate of food, guests headed downstairs to the reception area. 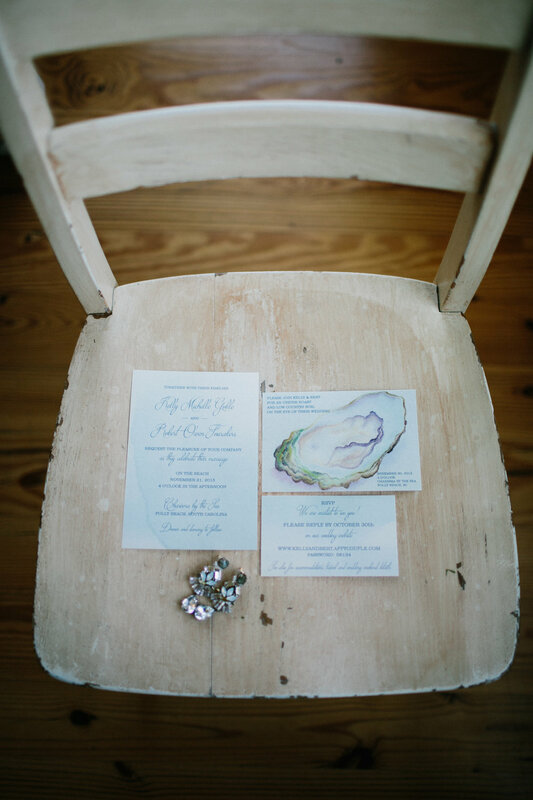 Kelly's vision of jewel tones came to life with plum napkins and over-spilling greenery. 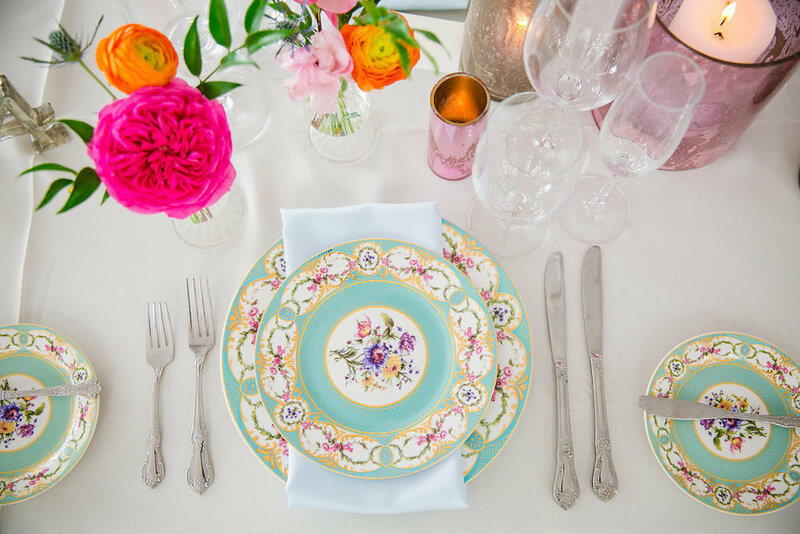 The tabletops were adorned with gold flatware and jewel toned votives. 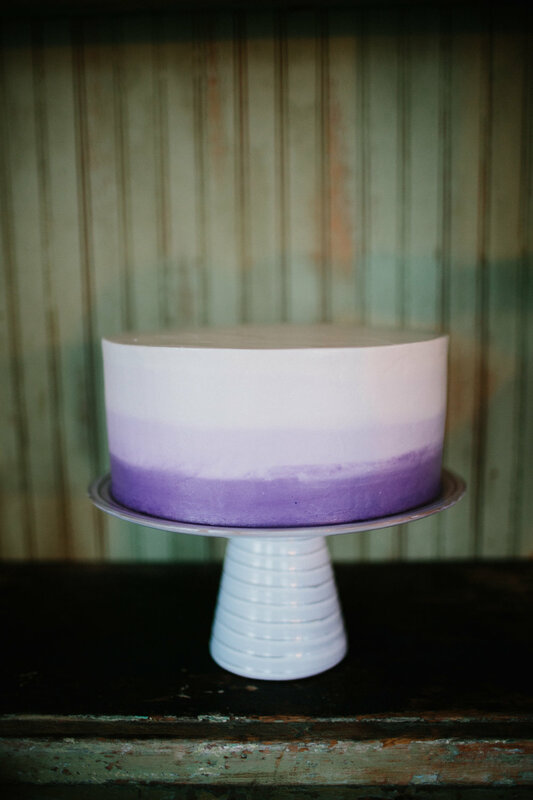 Kelly's cake was truly one of a kind, the purple ombre coat accented the reception space perfectly. This was such a fun crowd, and they danced in the sand till the night came to an end! 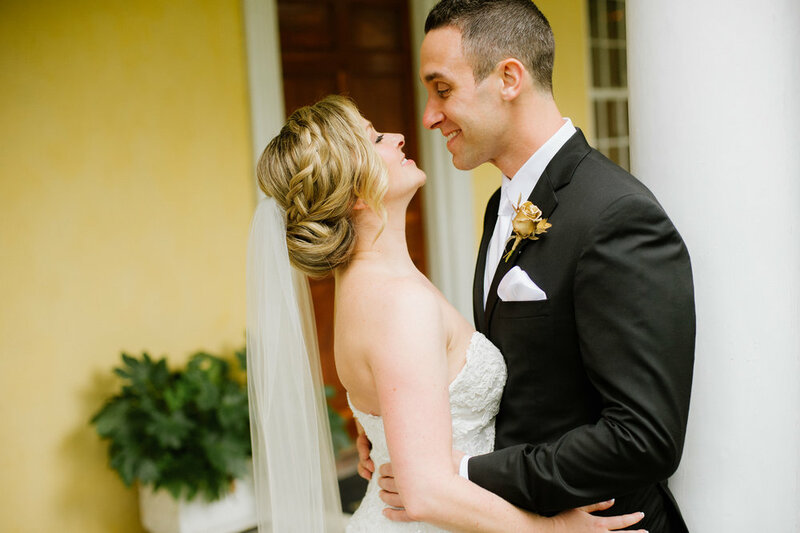 Kelly + Bert could not have been more in love, and we wish them a lifetime of happiness! 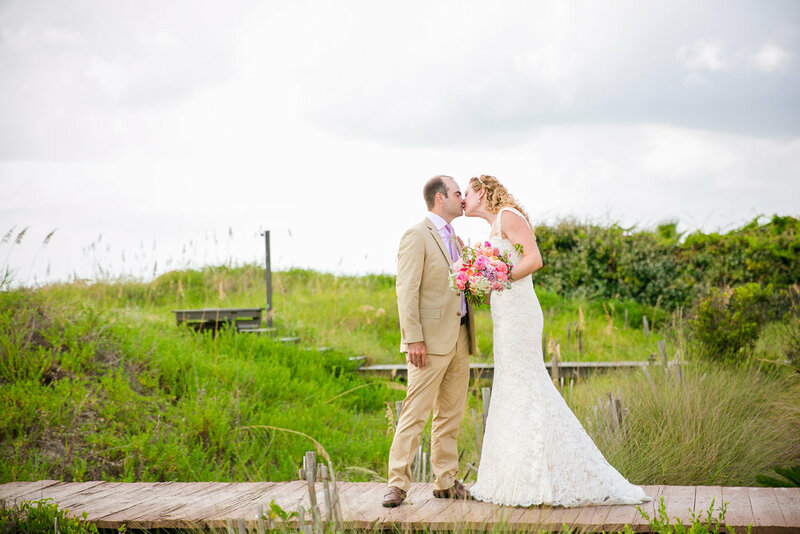 Heather + Michael shared a stunning Cottage on the Creek Wedding on a beautiful day in September. 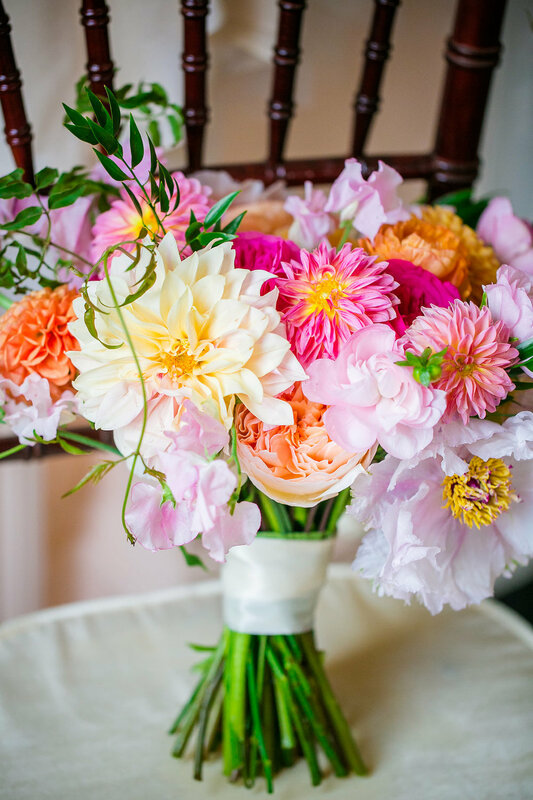 Vibrant florals and personal details allowed the rustic ambiance of the Cottage to pop! 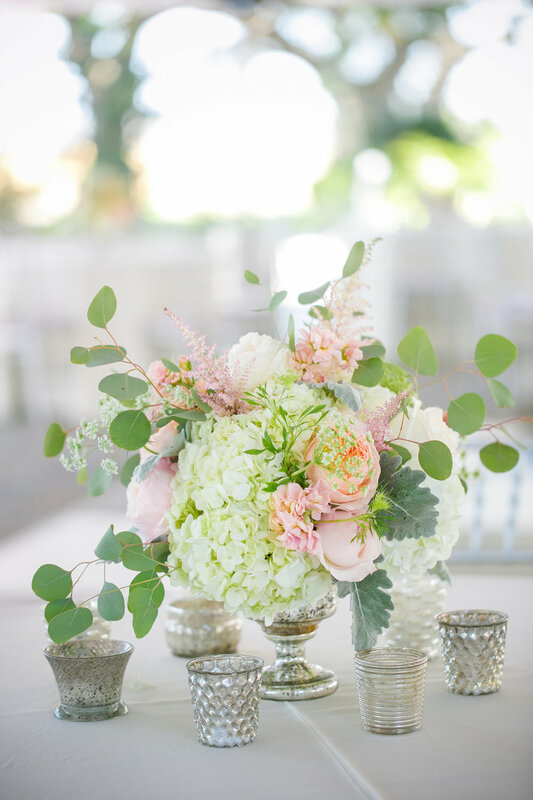 Branch Design Studio made sure to reflect Heather's bubbly and bright personality in all of the florals. 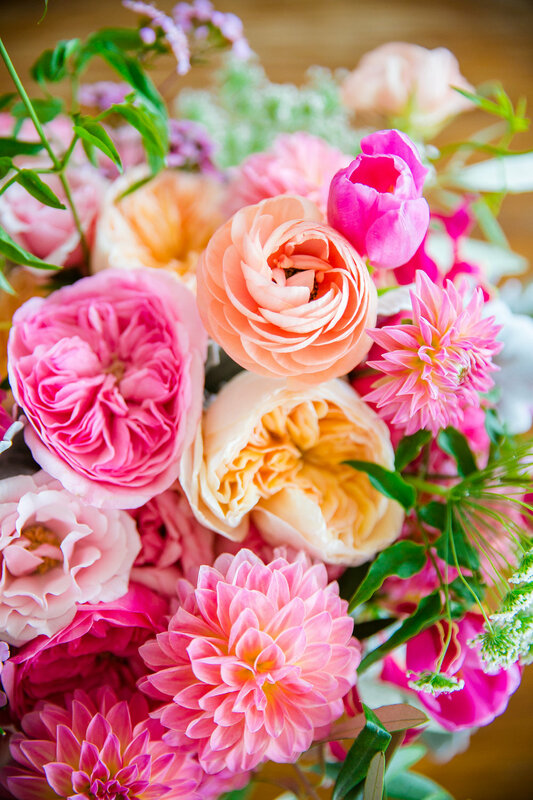 Eyes were drawn to her colorful bouquet filled with watermelon ripple garden roses, hot pink parrot tulips, coral ranunculus, and peach Juliet garden roses. Heather's father had officiated all of the weddings for his children, and Heather was no exception. 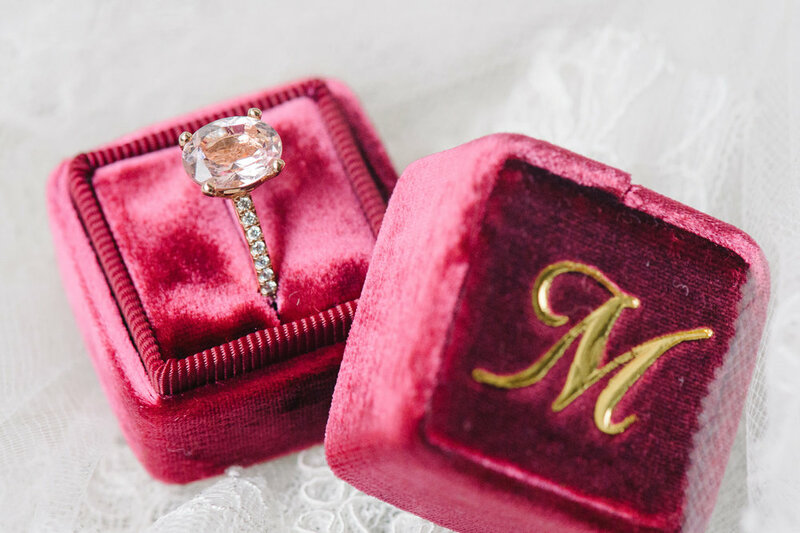 They shared a sweet moment as he walked her down the aisle and began the ceremony. 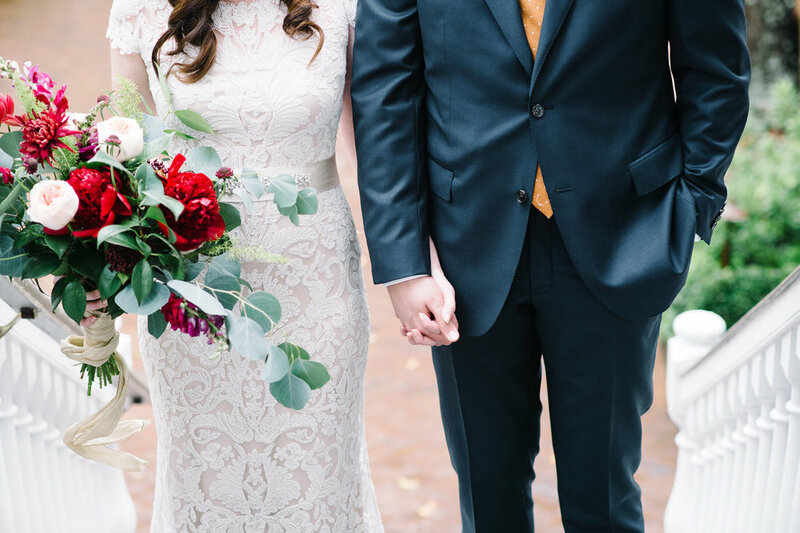 The bride + groom stood on a elegant handmade rug that was gifted to Heather by her best friend. 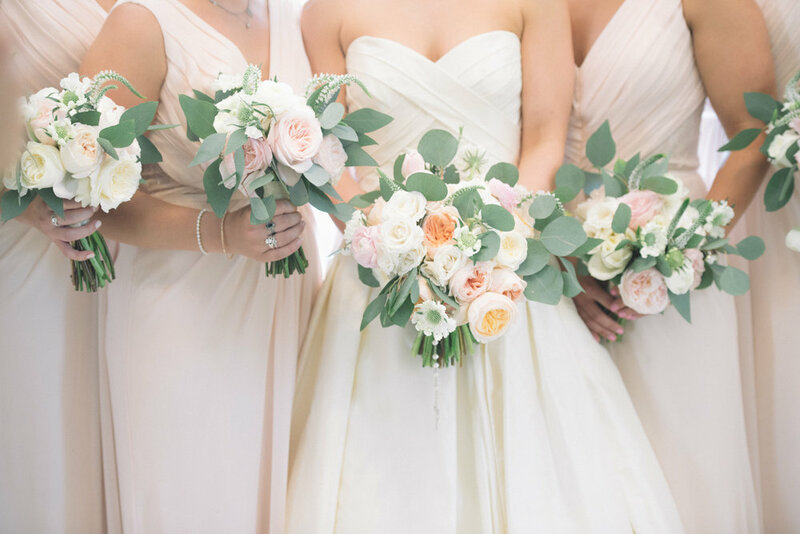 The ceremony alter was softened by ivory fabric covering the shrimp boats, and tall galvanized buckets overflowing with coral spray roses, queen anne's lace, and coral ball dahlias. 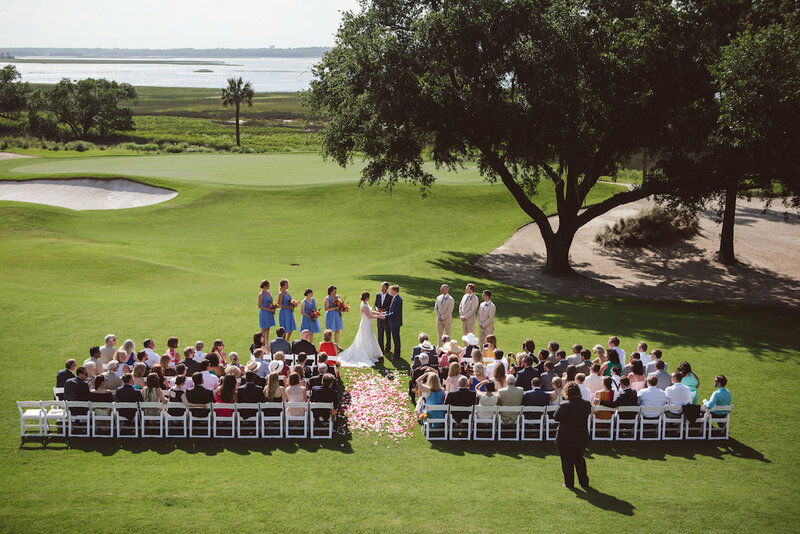 Once the couple said "I Do", guests enjoyed small bites and cold drinks overlooking Shem Creek. 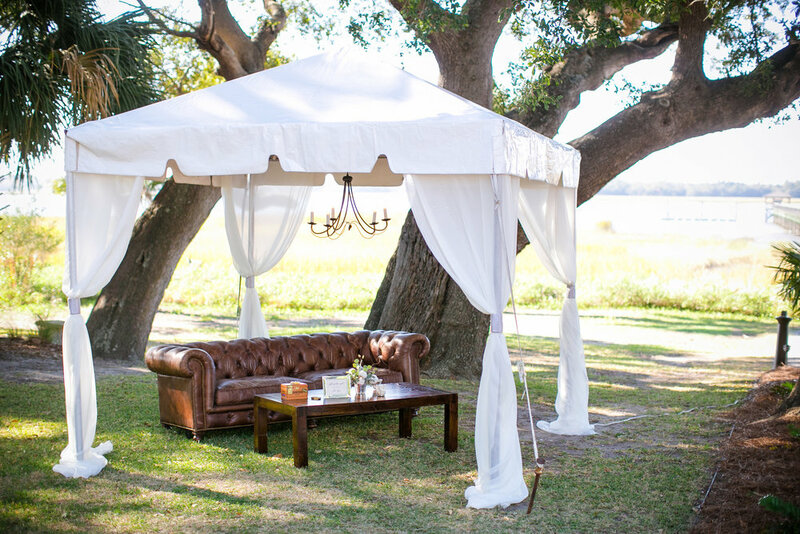 The bar was located underneath the stunning white gazebo which was adorned with a sparkling chandelier. After catching up with family and friends, guests moved inside to enjoy a plated dinner. 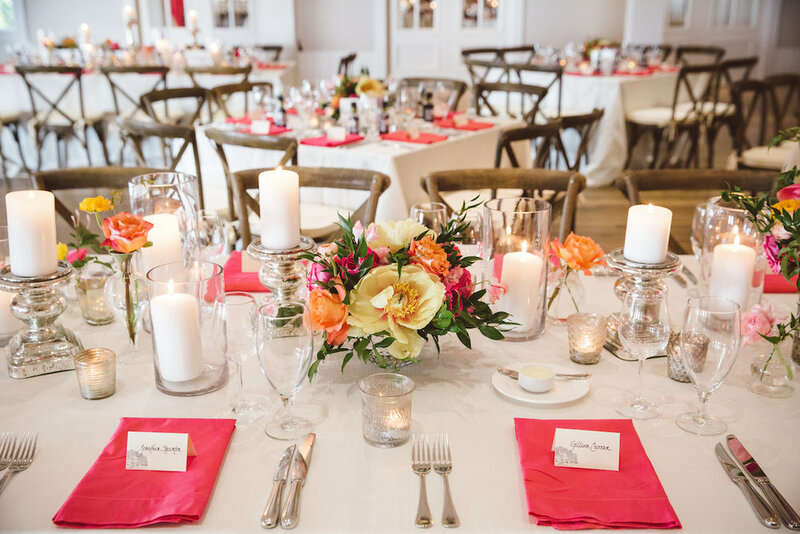 The bright colors and arrangements on the tabletops were breathtaking. 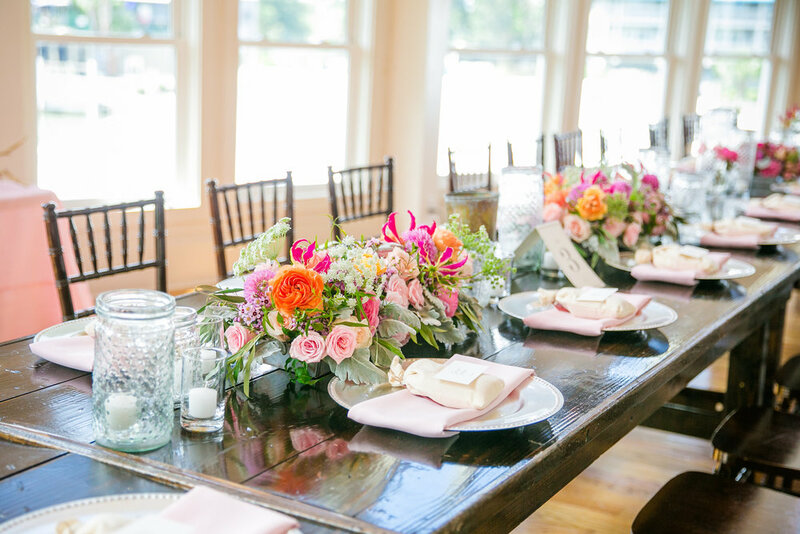 Long pieces of loose driftwood branches accompanied these florals on various tabletops. 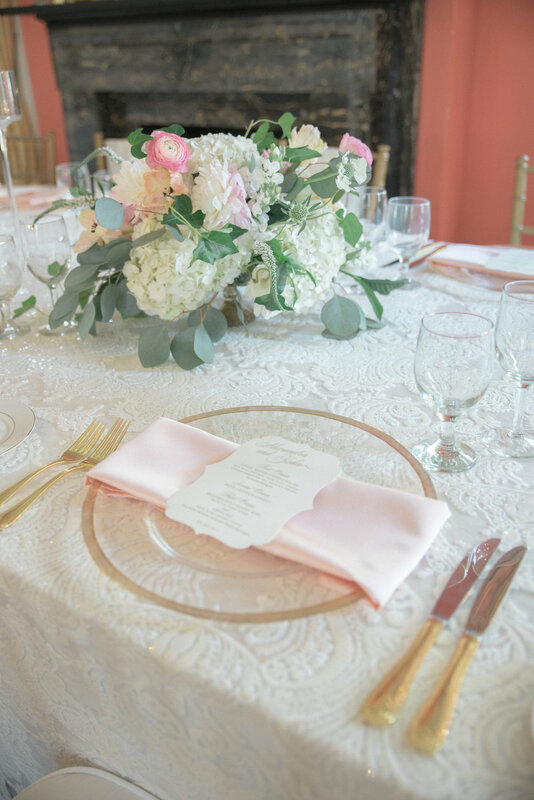 Heather placed a bag of Charleston shrimp and grit mix on each place setting for the guests to take home and enjoy a small piece of Charleston. After dinner, guests put on their dancing shoes and enjoyed the sunset overlooking Shem Creek. We loved working with Heather & Michael, and wish them everlasting happiness! 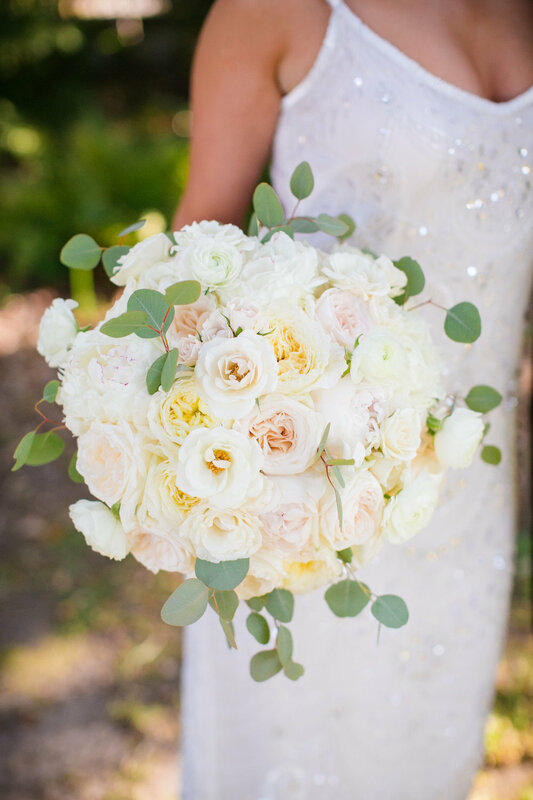 Megan + Keith's William Aiken House wedding was nothing short of fabulous! 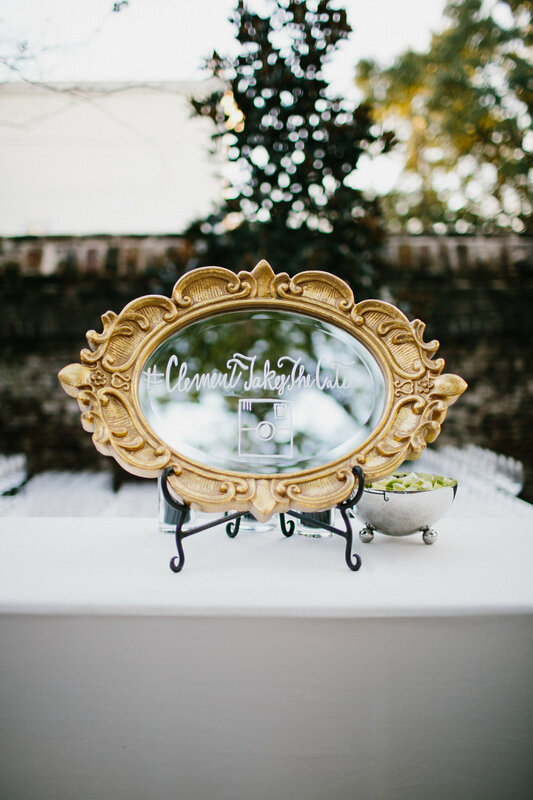 The venue was the perfect setting for this white, black, and gold affair captured by Evan Laettner! 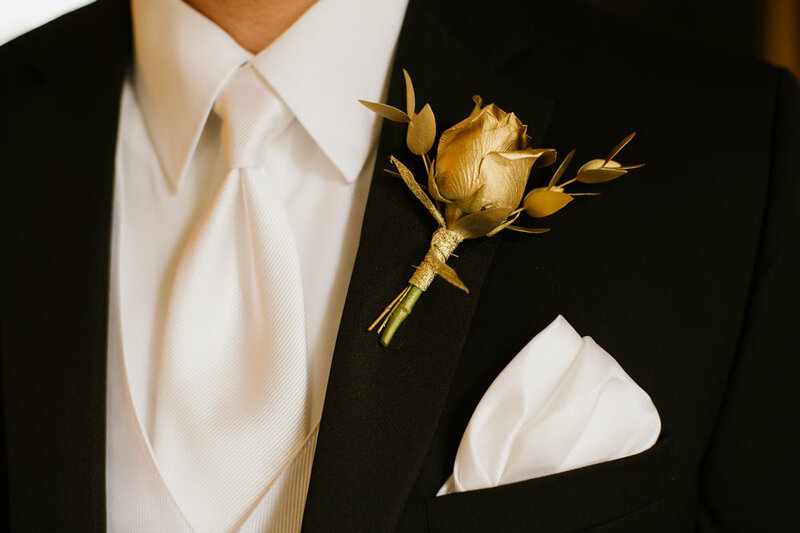 Gold dipped roses, white modern lounge sets, black chandeliers, and metallic linens...need we say more!? 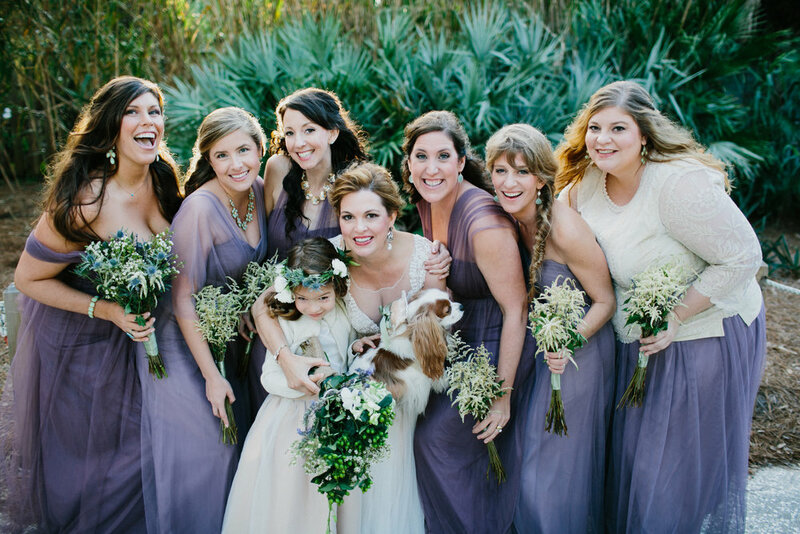 Megan's bridesmaids looked stunning in their head to tow gold glitter Badgley Mischka gowns. One of our favorite details of the day were the place cards, gold horses labeled with guests names to help find their seat. 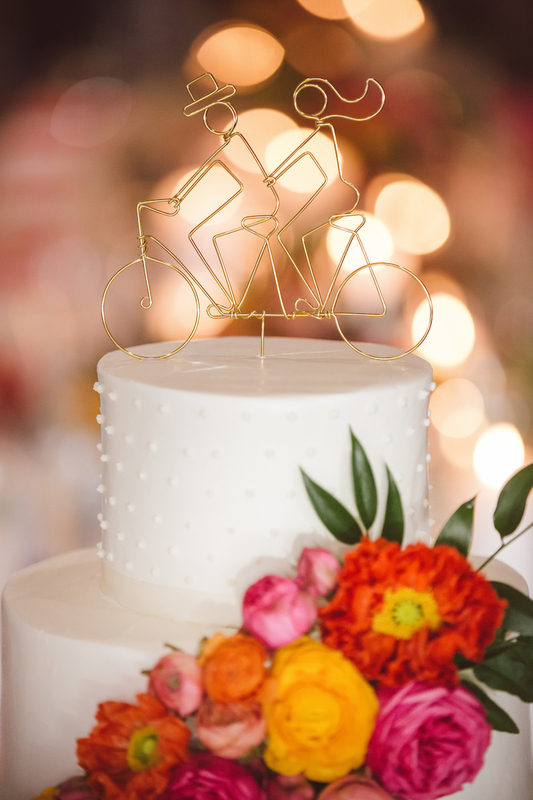 You can never have too much gold in our opinion and this wedding did it just right!